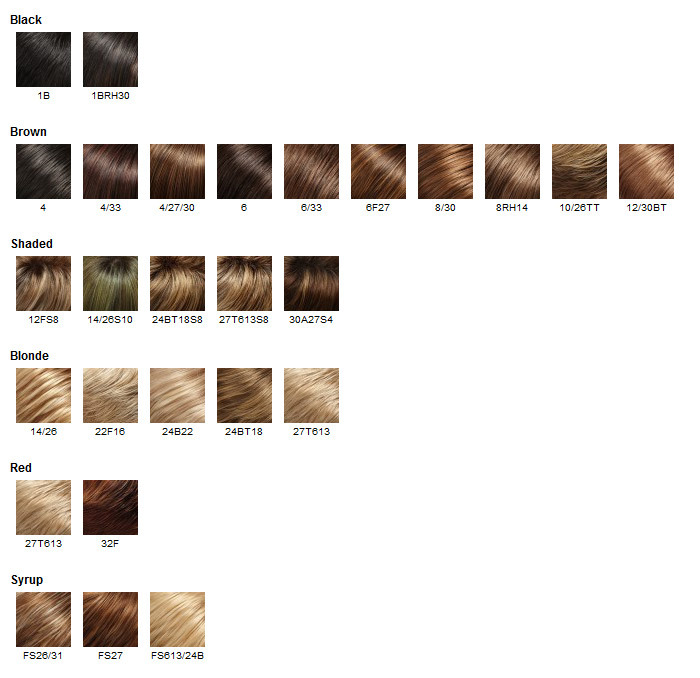 The sheer lace front allows you to feel completely confident styling the hair away from your face. This 100% hand tied wig features a monofilament top with individual hand tied fibres allowing for multi-directional styling and parting while providing the appearnace of natural growth and hairline. 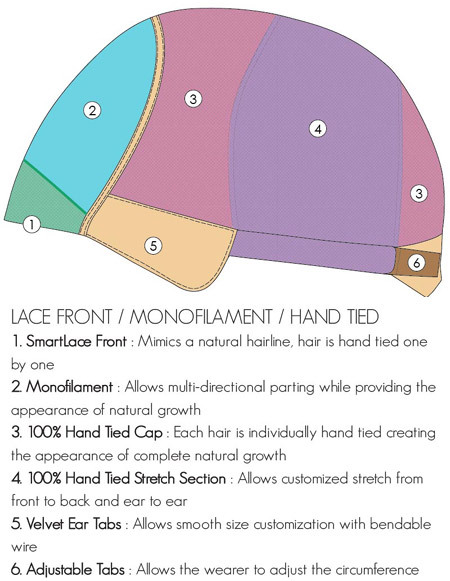 SmartLace Front mimics a natural hairline because the hair is tied one by one. The monofilament allows multi-directional parting while providing the appearance of complete natural growth. It is a 100% hand tied cap which means each hair is individually hand tied creating the appearance of complete natural growth. Its 100% hand tied stretch section allows customized stretch from front to back and ear to ear. The velvet ear tabs allow smooth size customization with bendable wire. It also features adjustable tabs that allow the wearer to adjust the circumference.